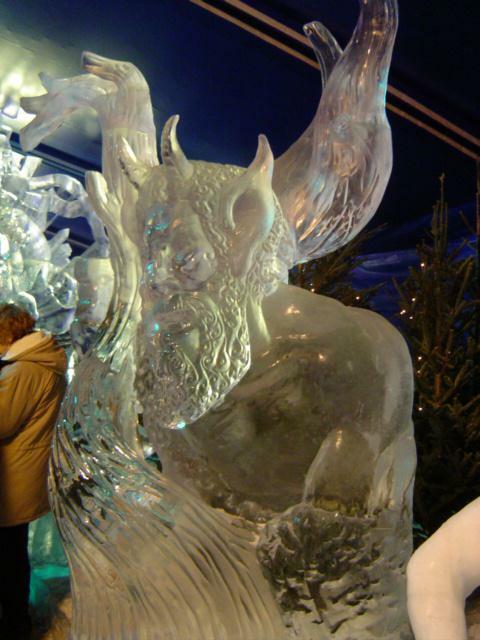 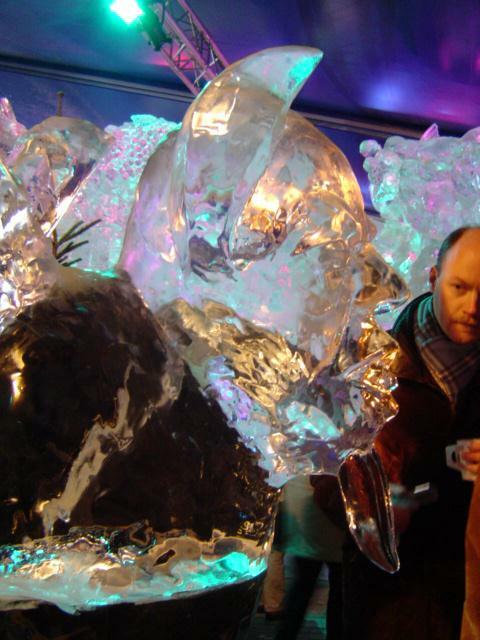 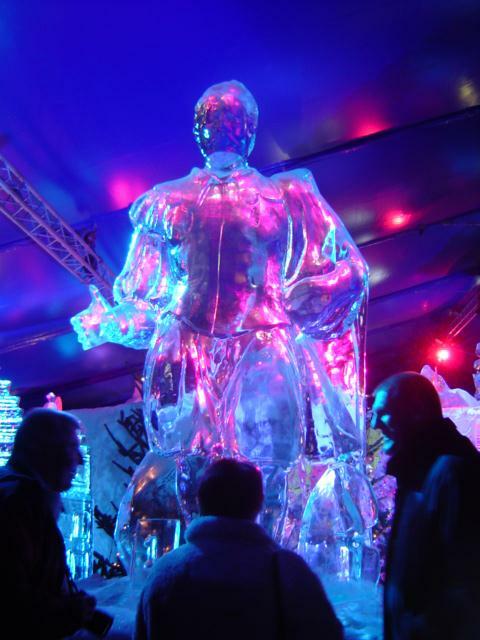 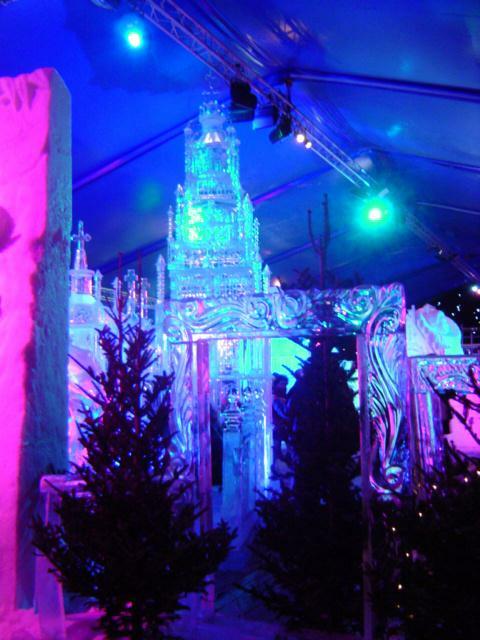 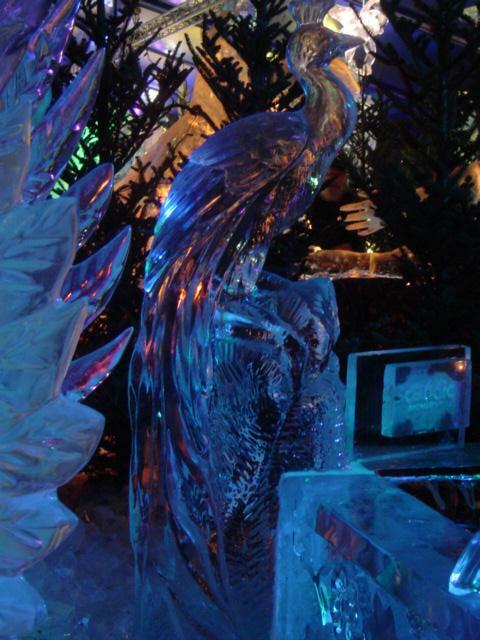 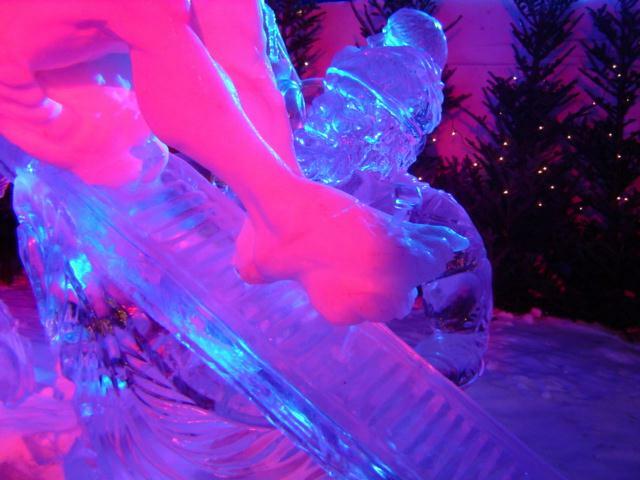 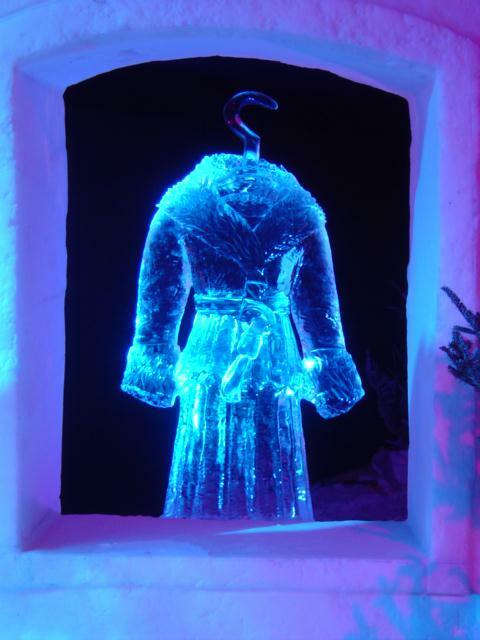 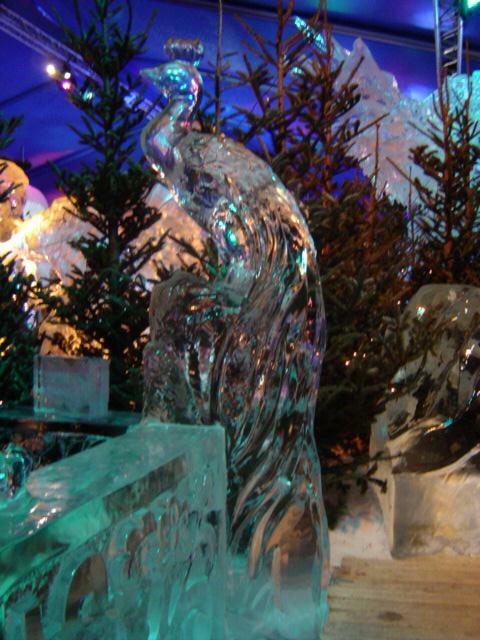 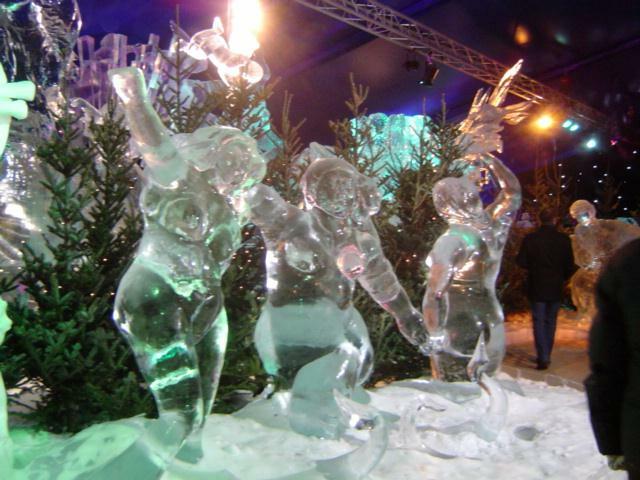 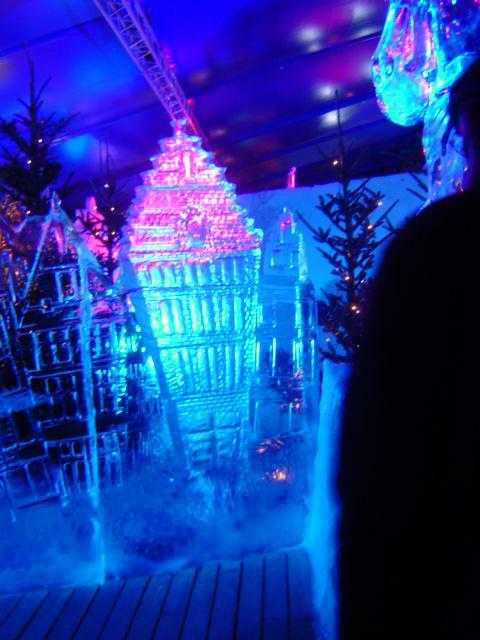 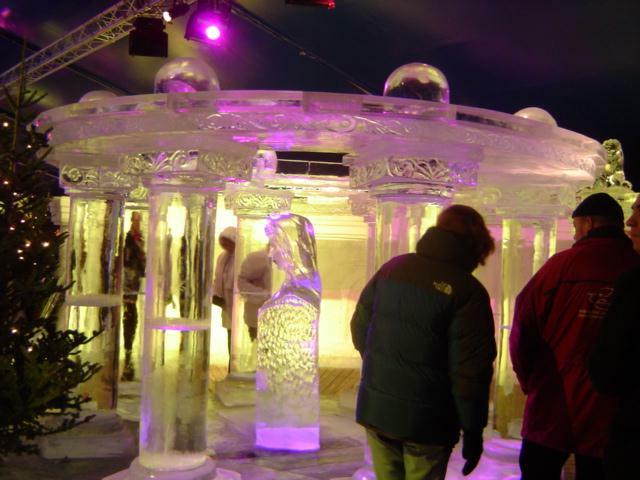 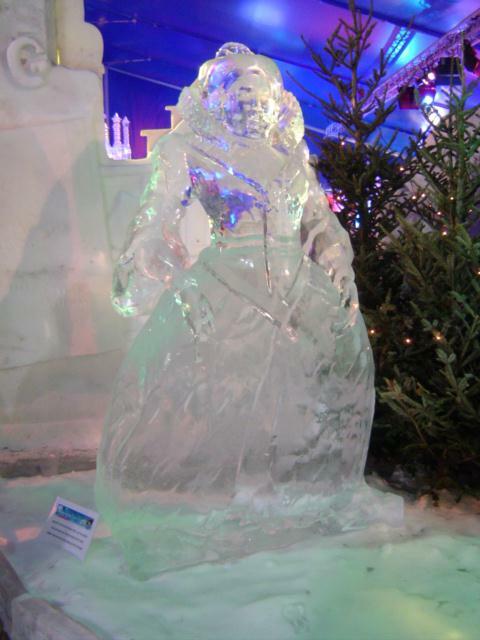 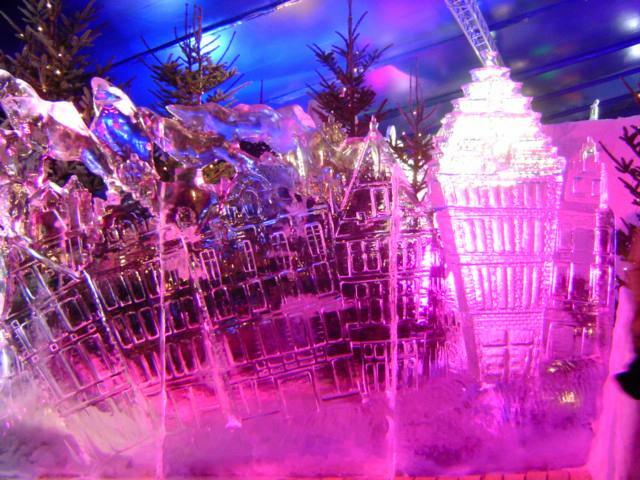 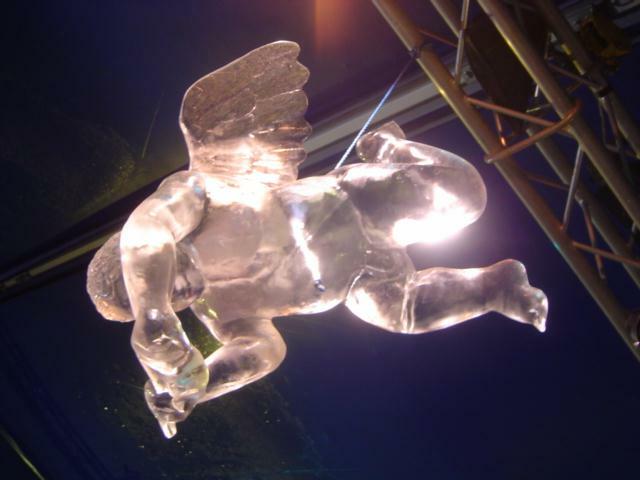 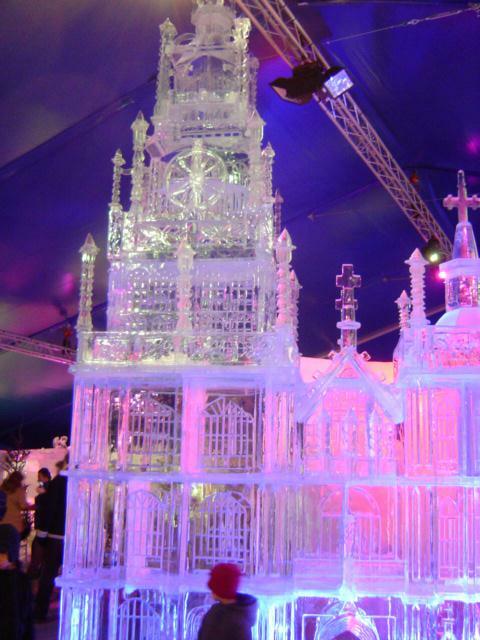 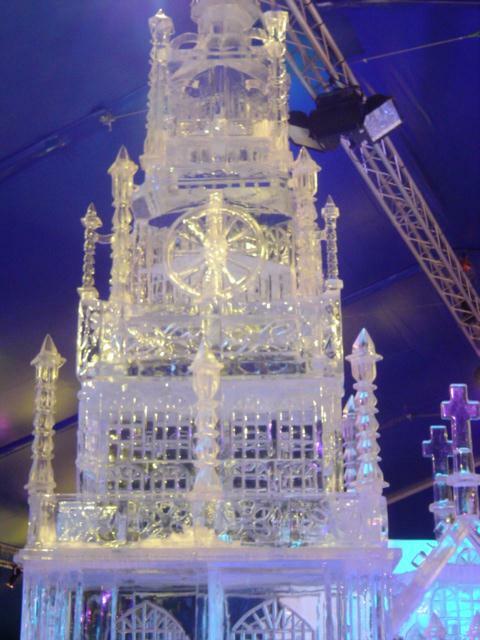 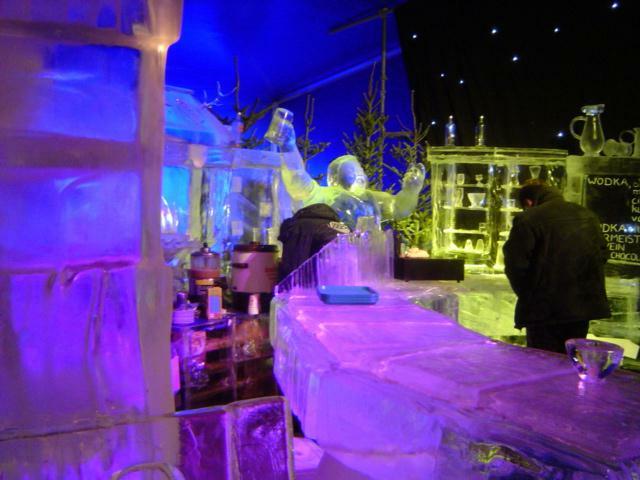 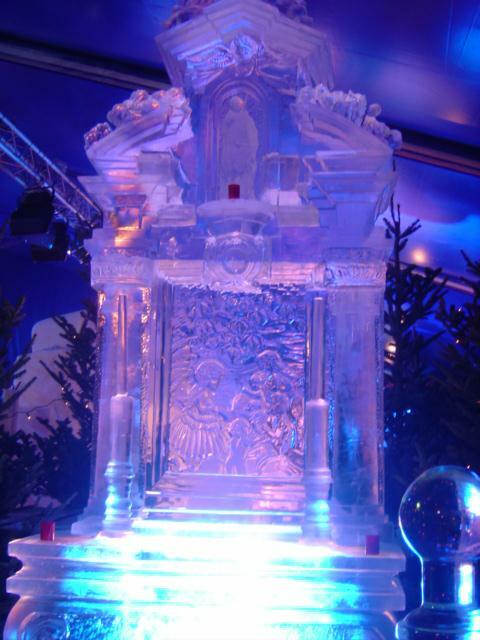 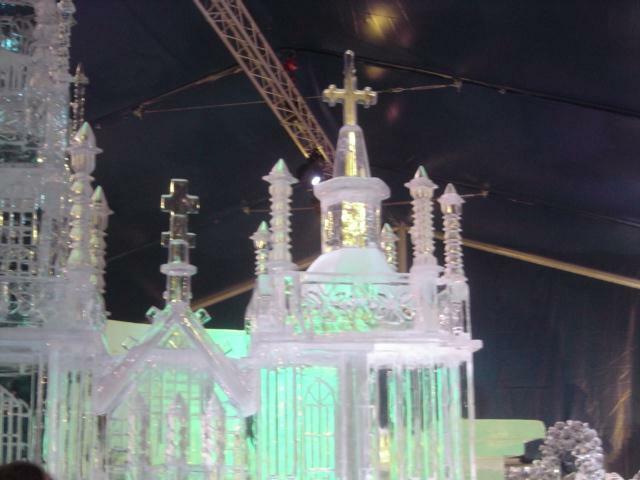 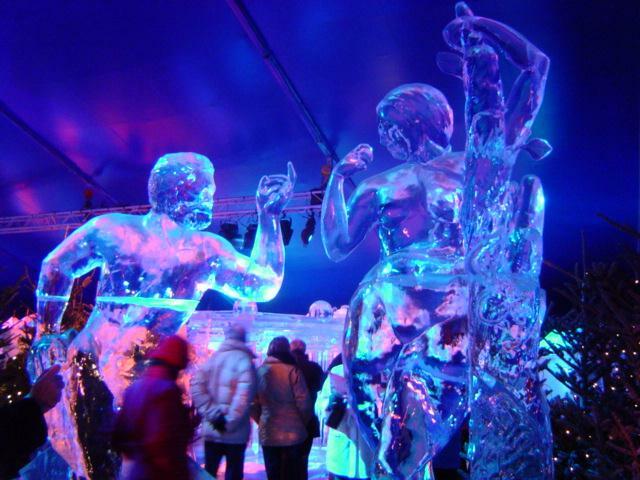 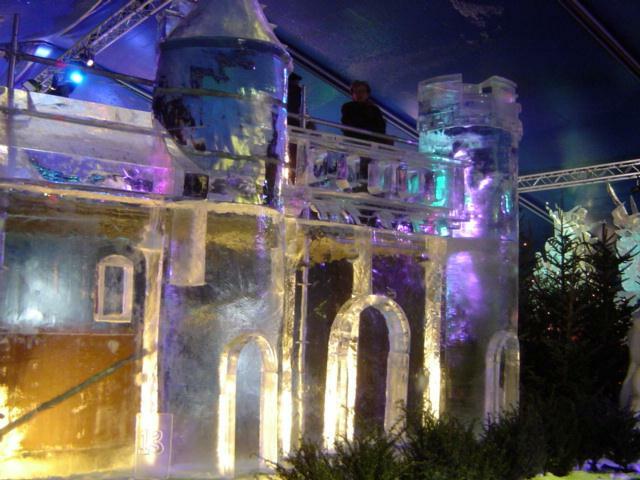 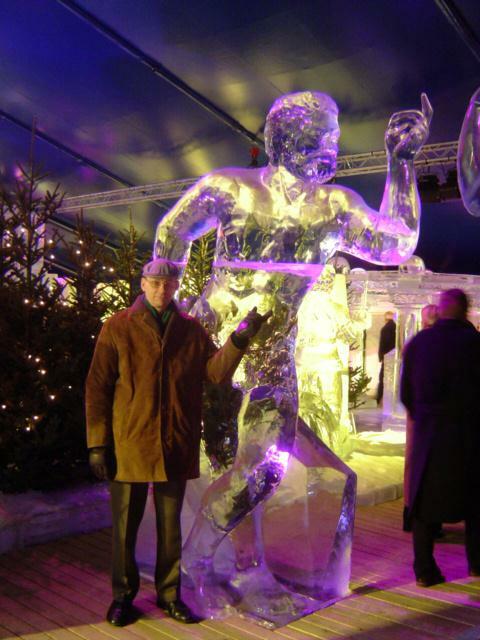 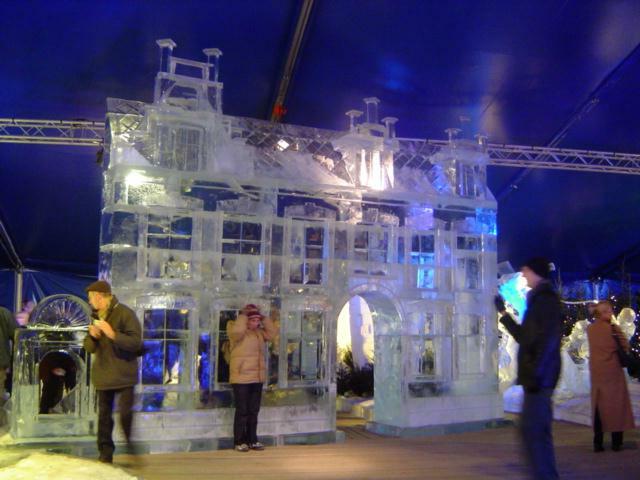 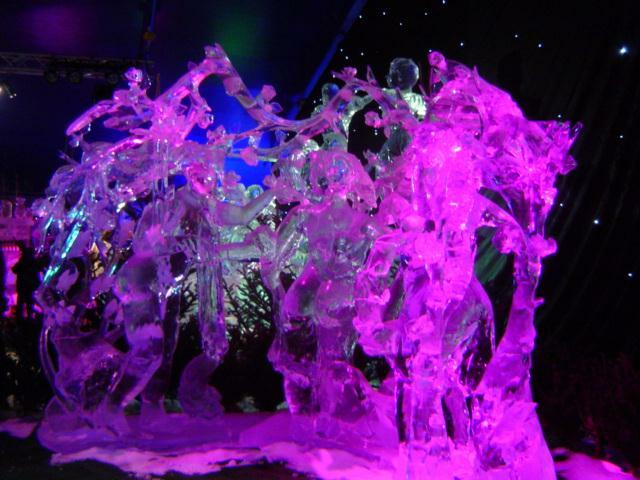 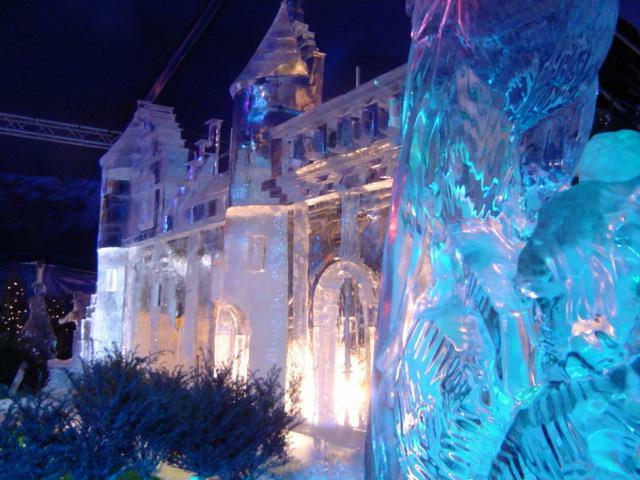 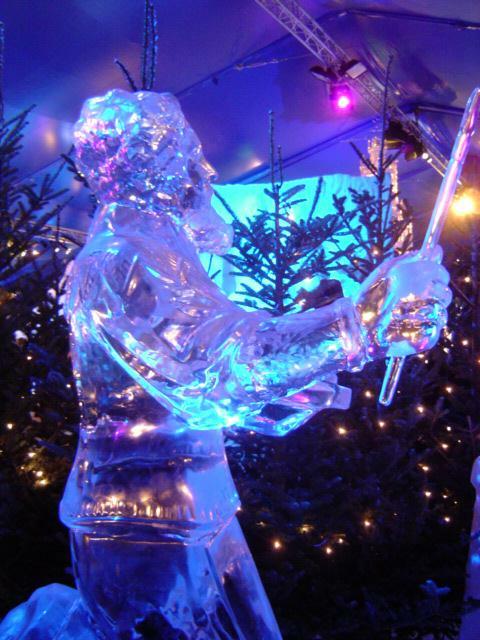 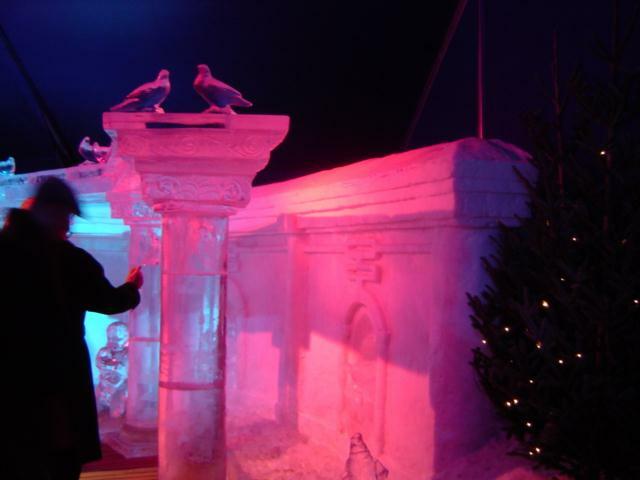 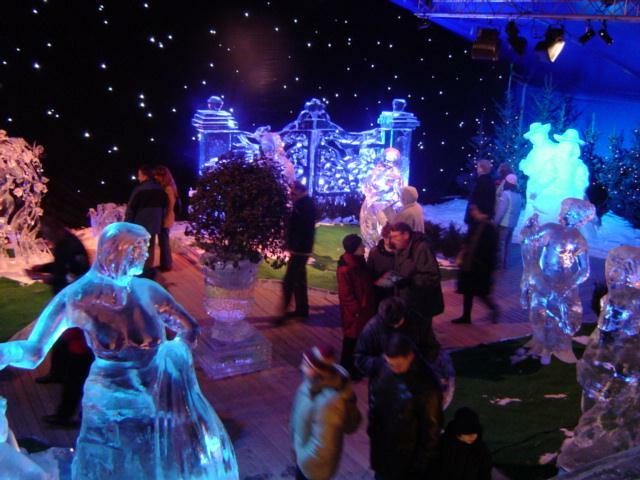 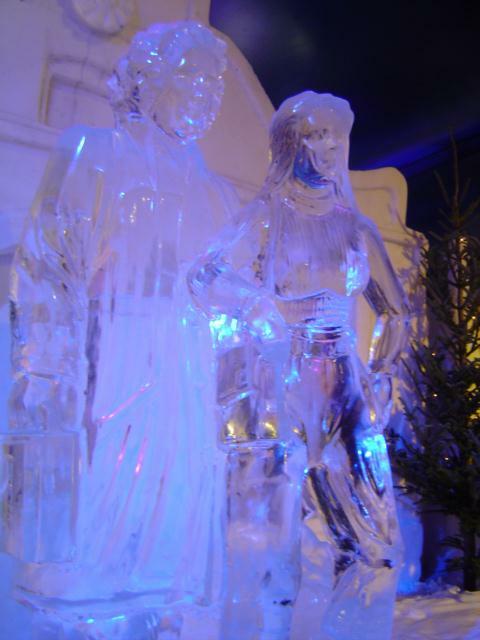 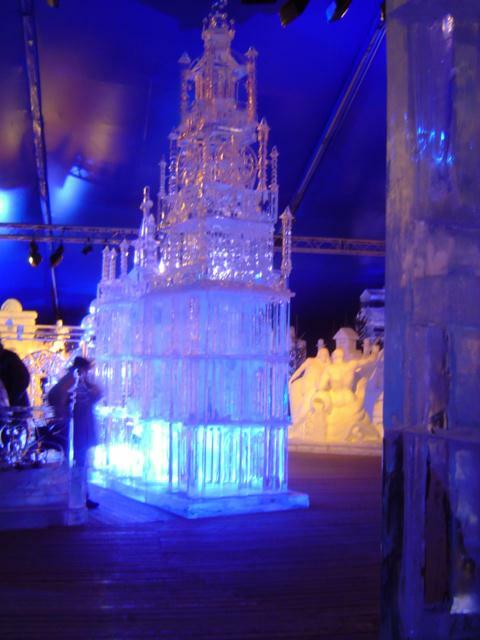 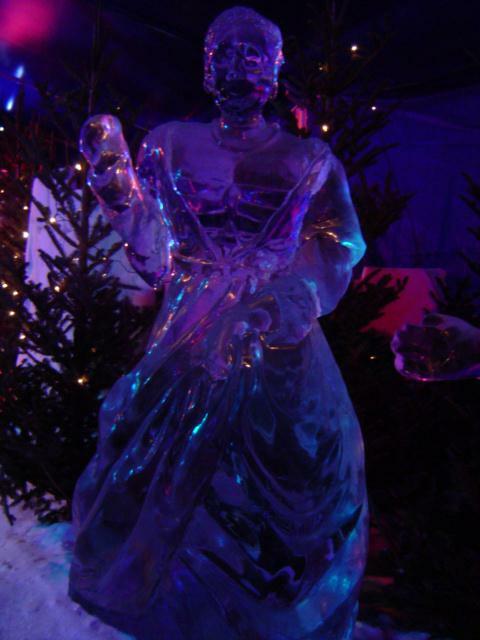 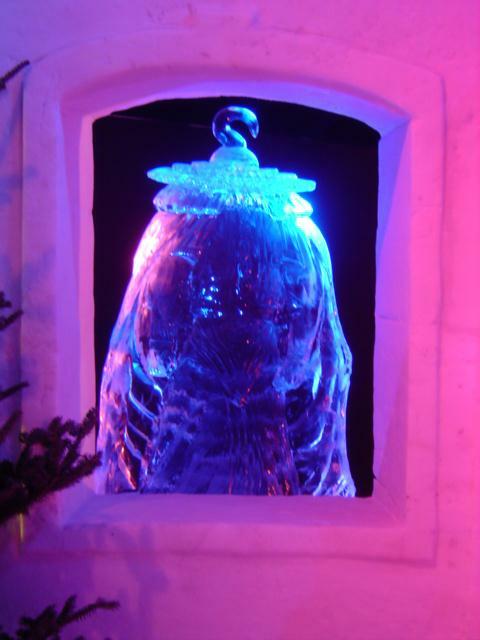 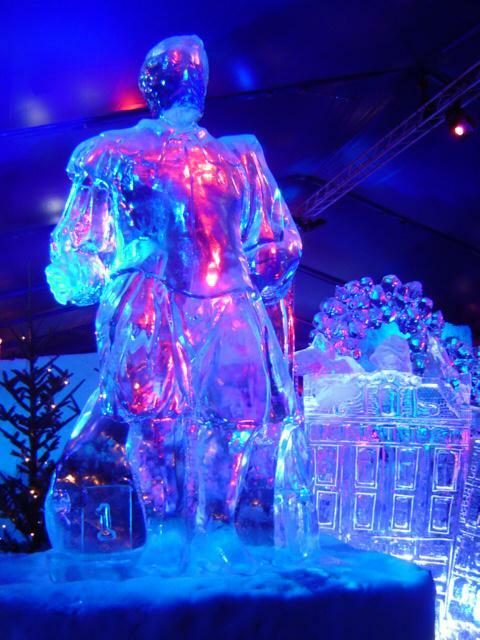 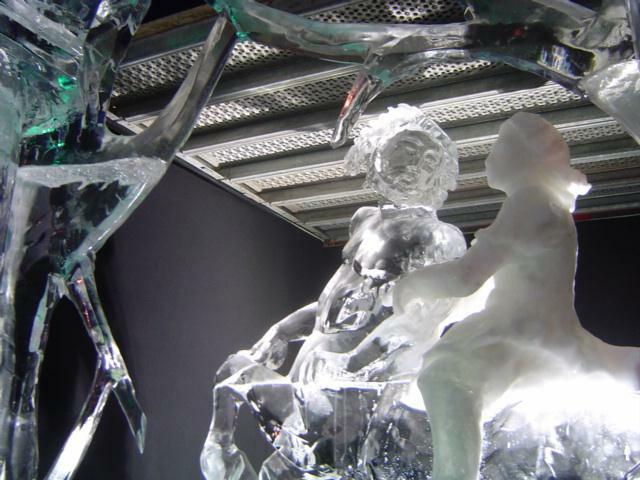 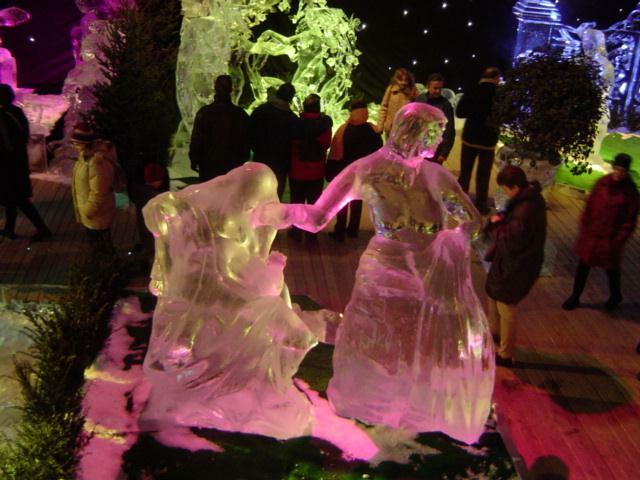 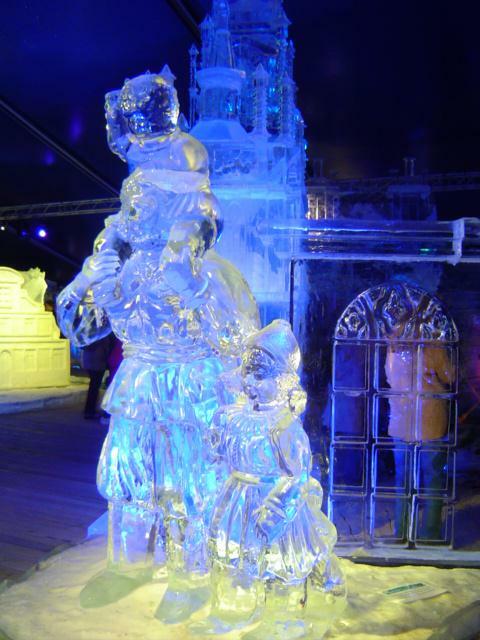 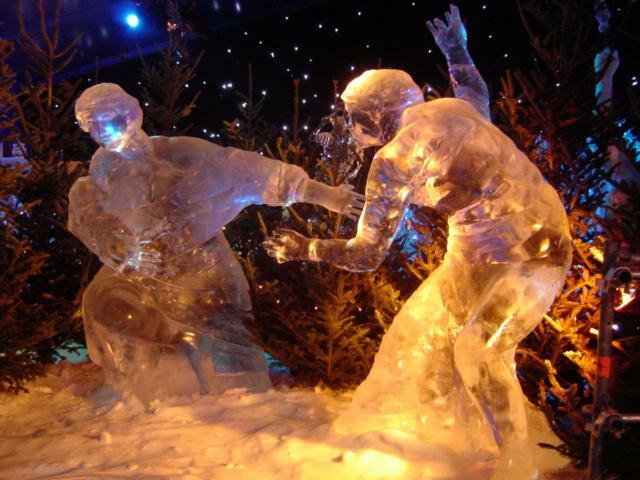 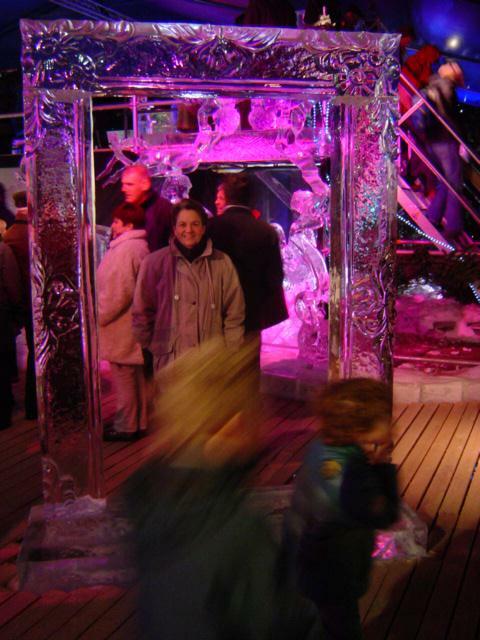 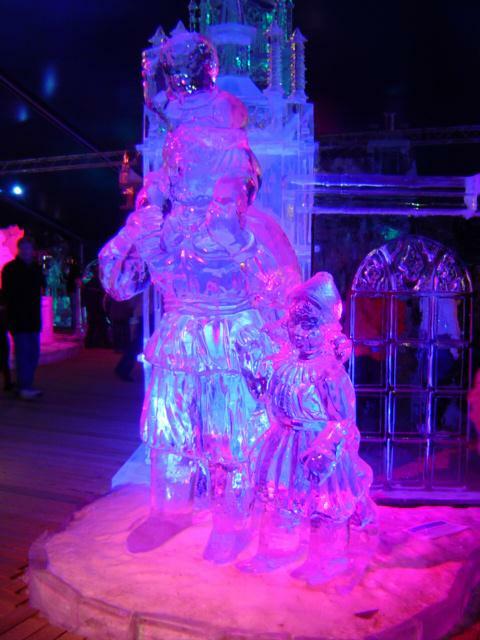 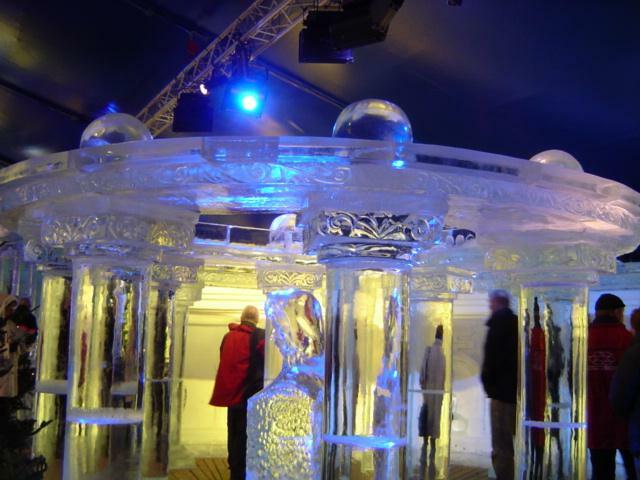 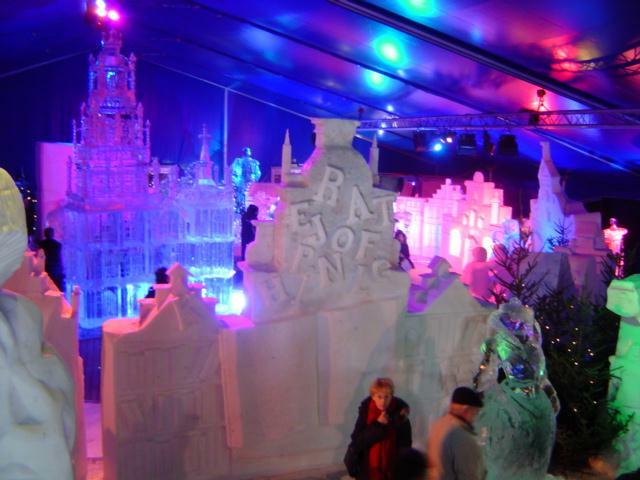 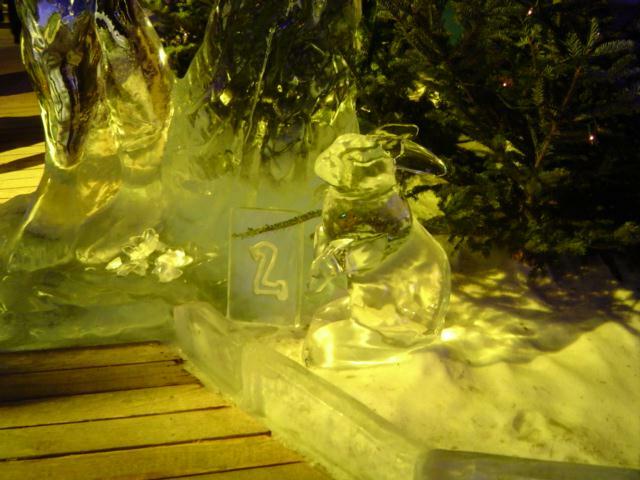 The Ice Sculptures exhibition is created inside an insulated marquee tent that is kept at a temperature of around -5 degrees C.
Visitors to the exhibition enter through an air-lock so that the temperature inside the building can be maintained. 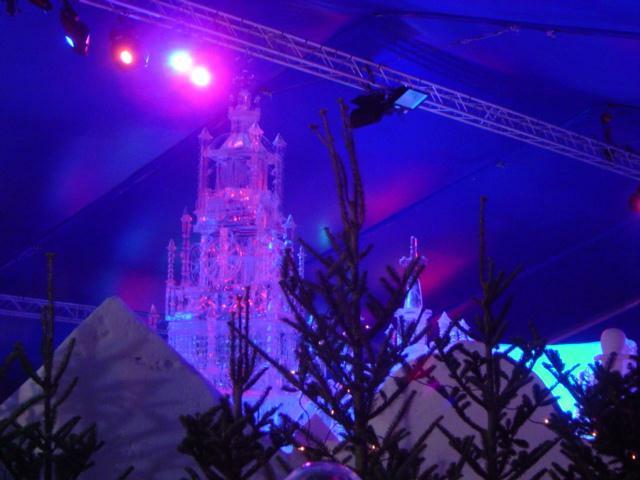 The theme for this exhibition, held at Antwerp in Belgium, was 'Fairy Tales'. 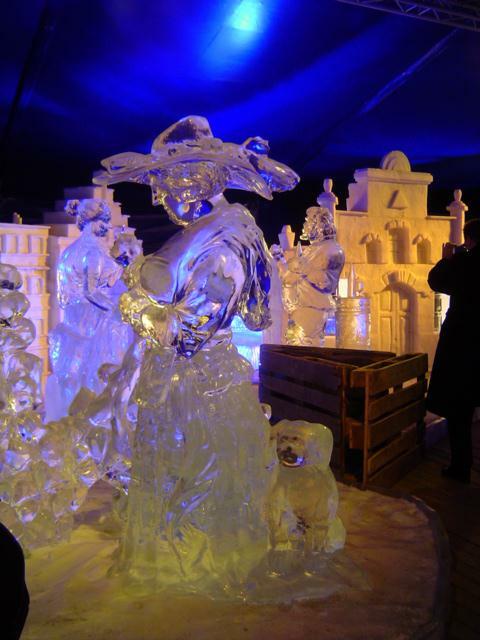 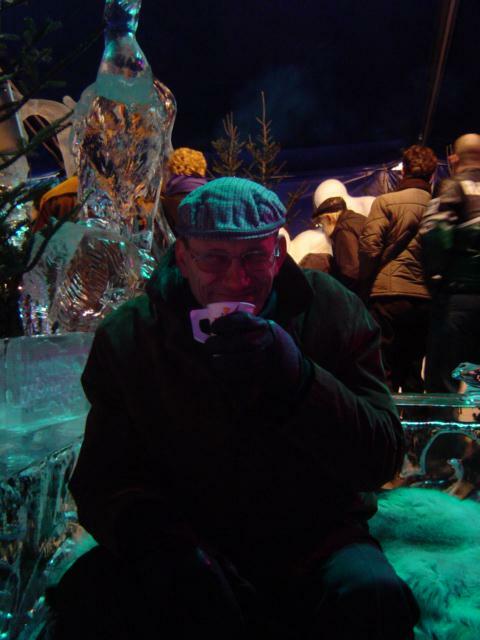 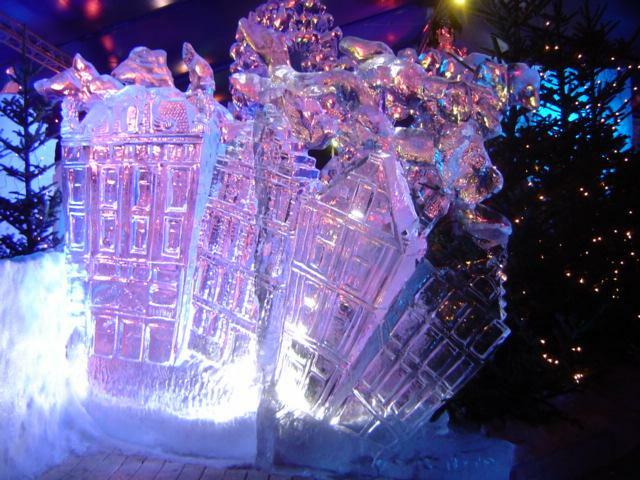 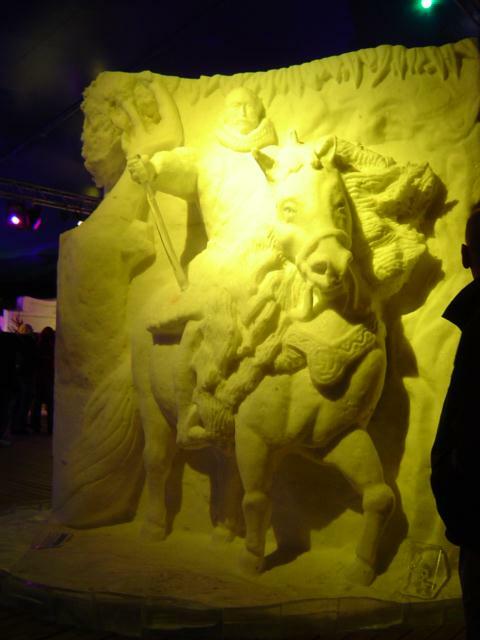 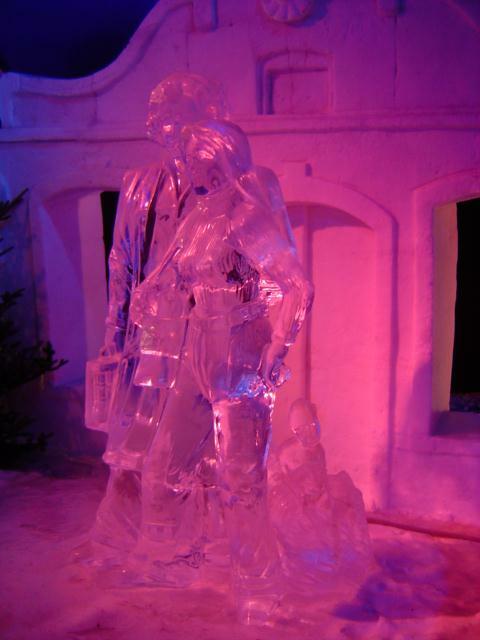 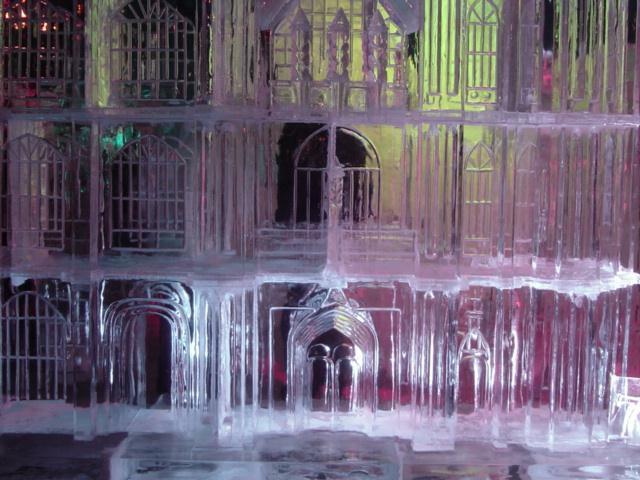 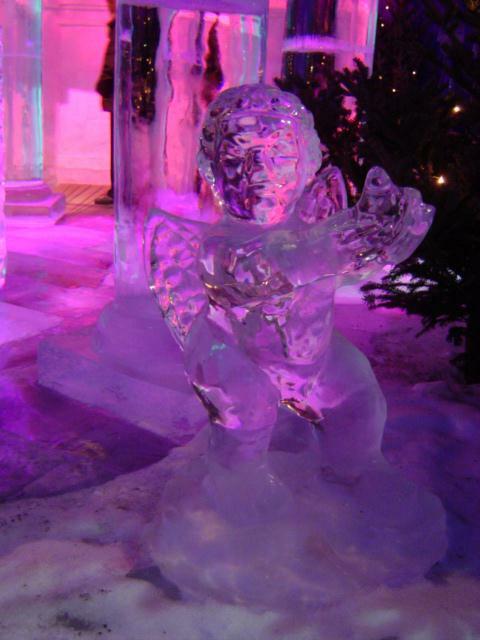 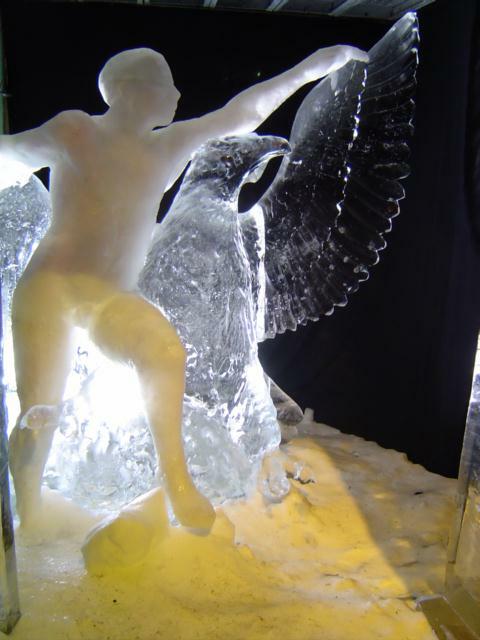 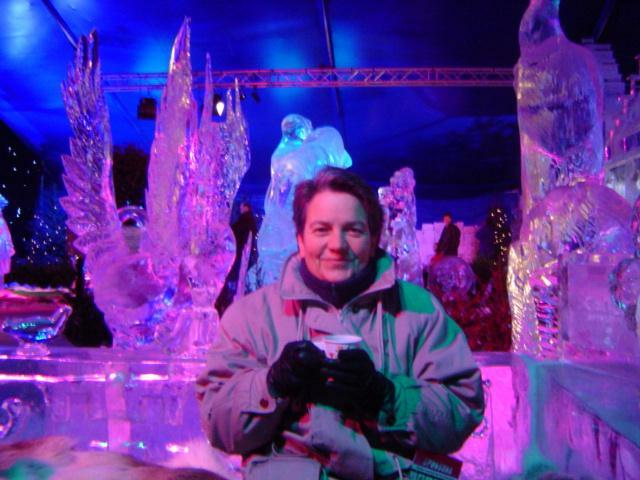 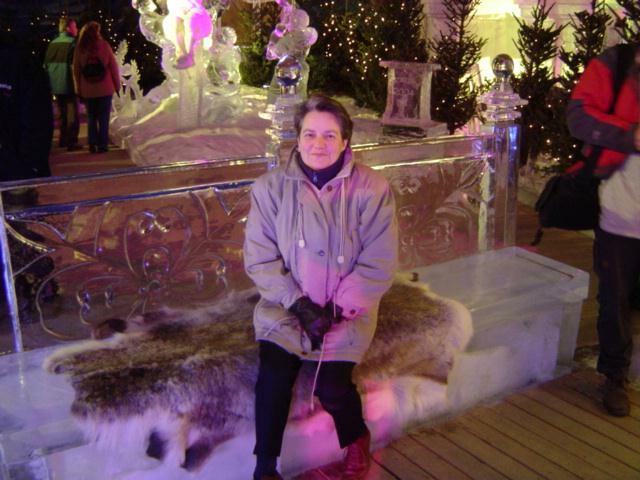 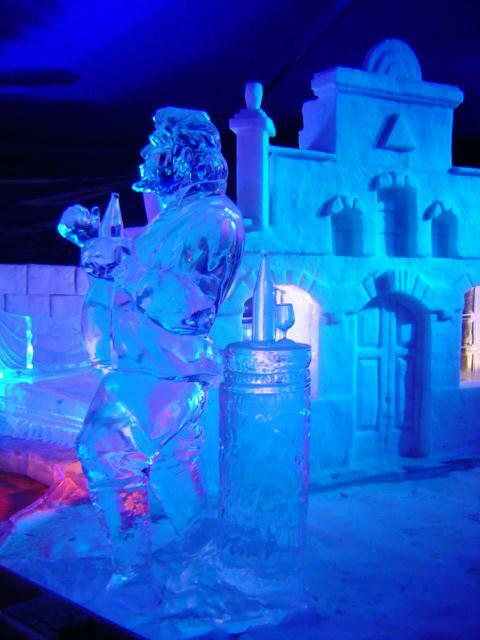 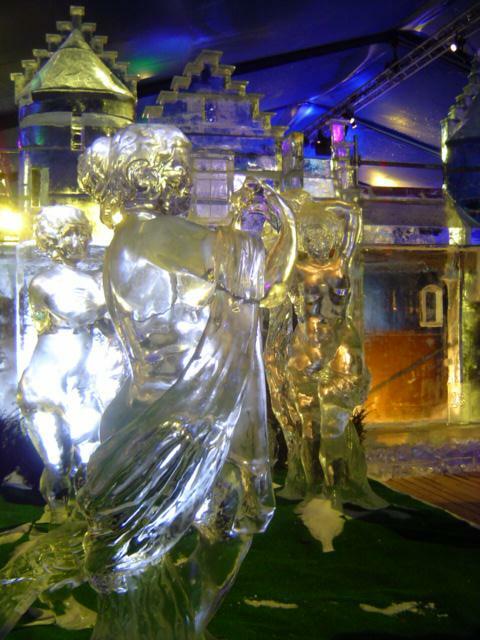 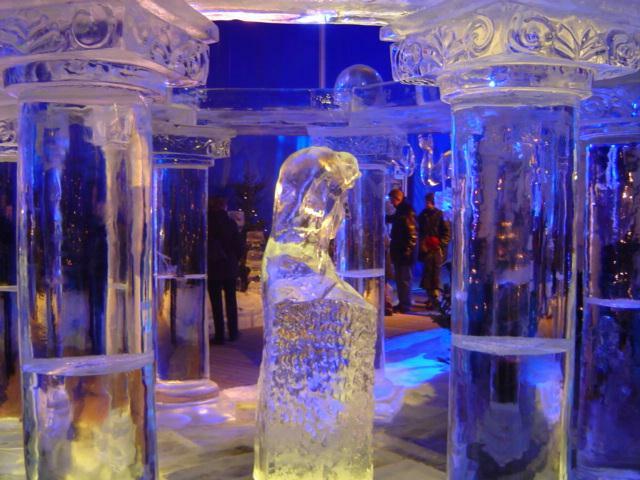 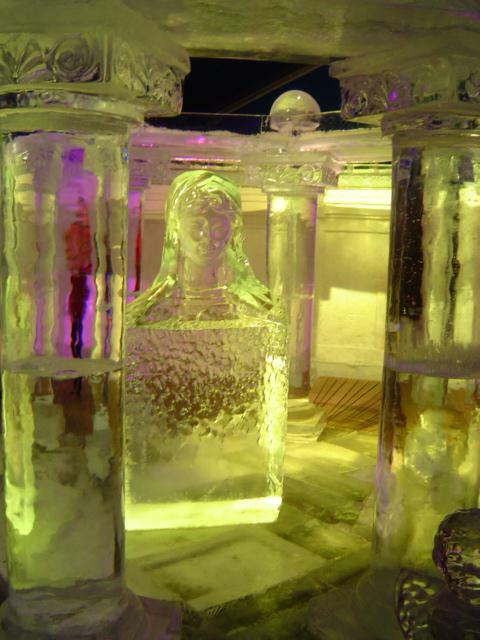 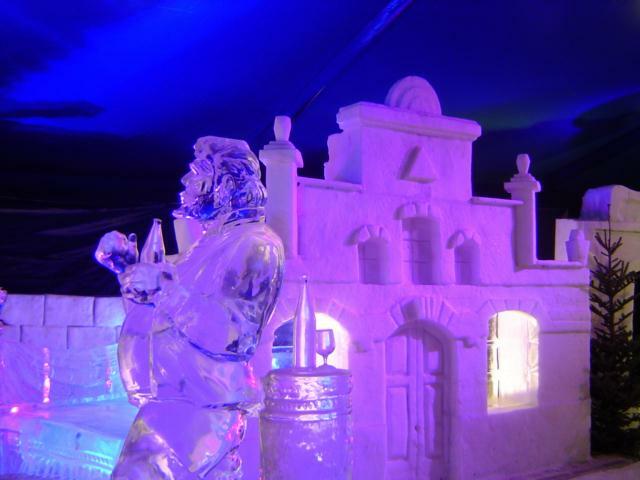 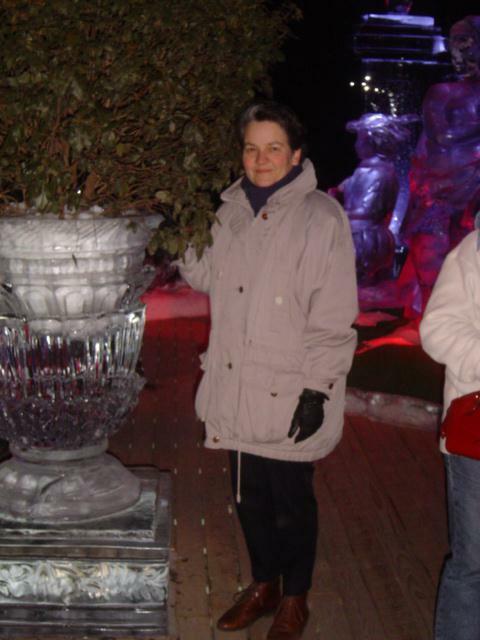 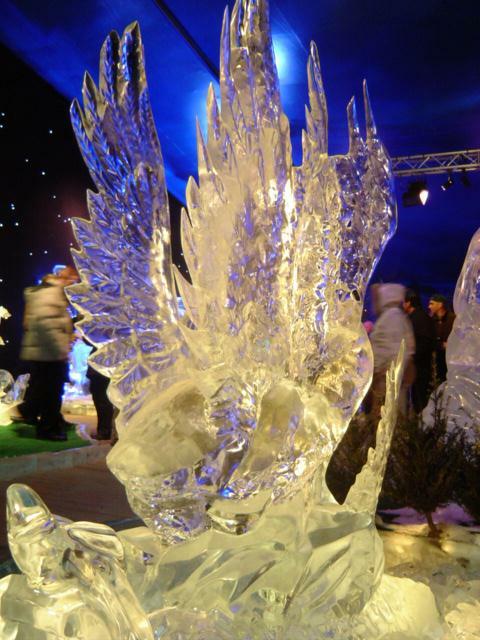 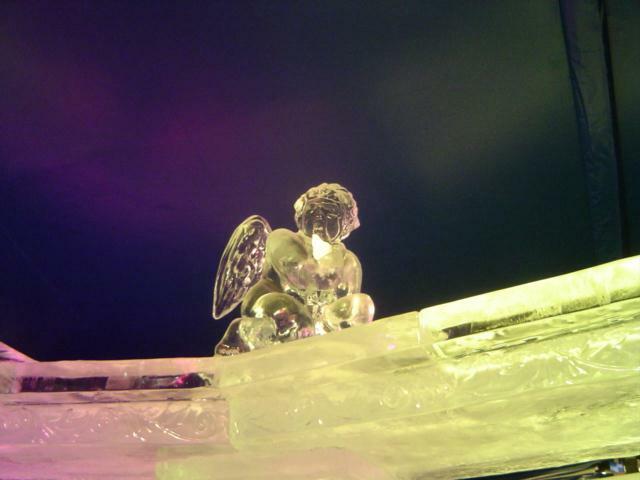 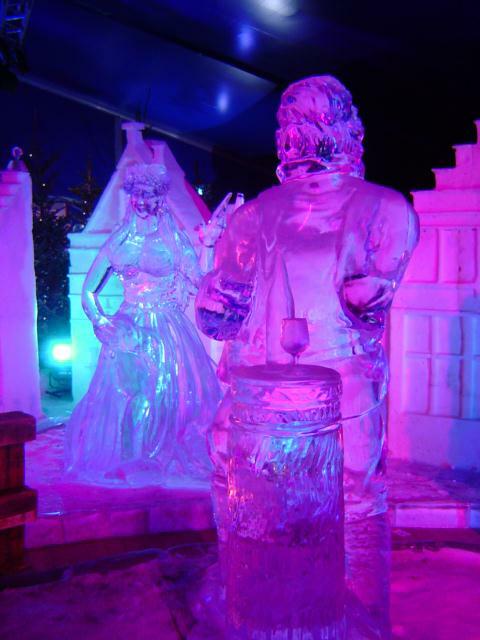 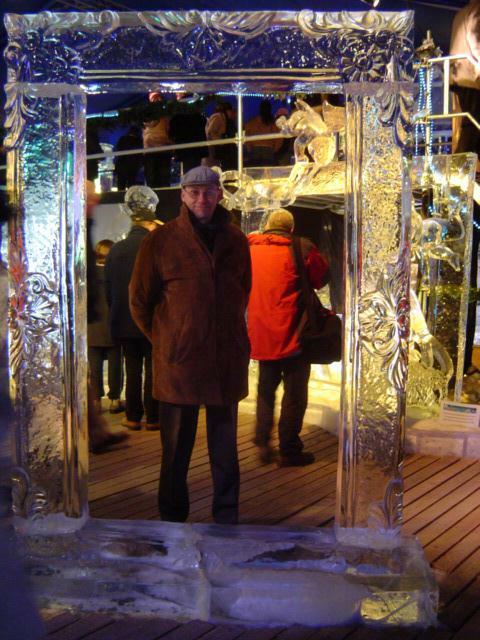 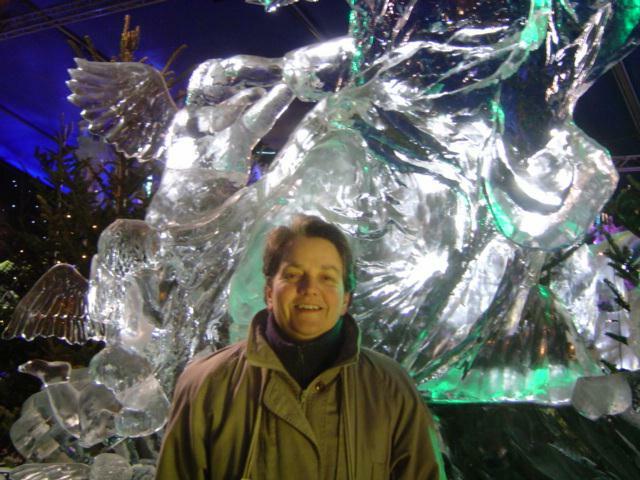 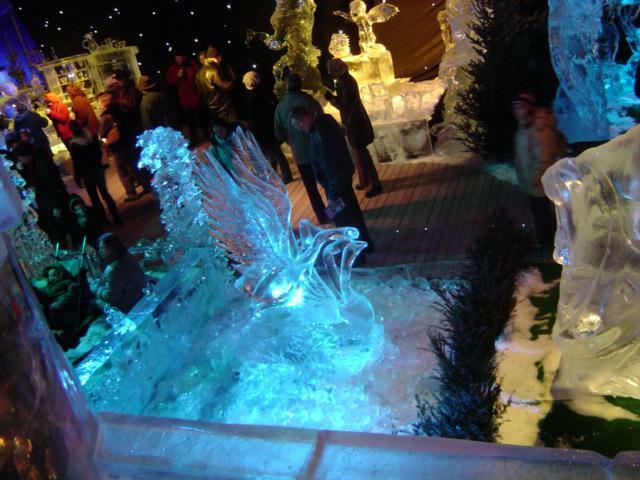 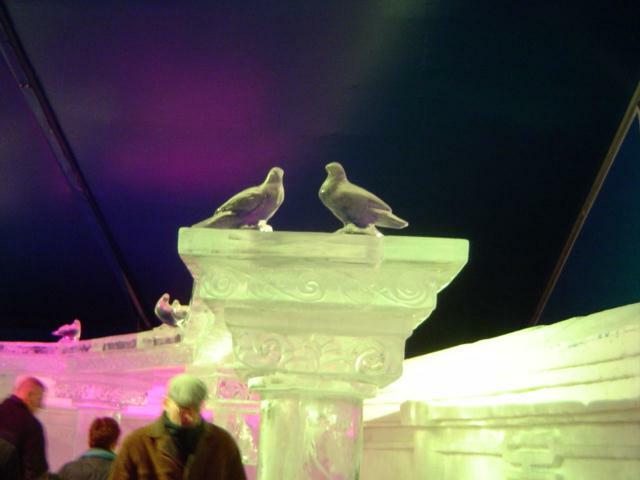 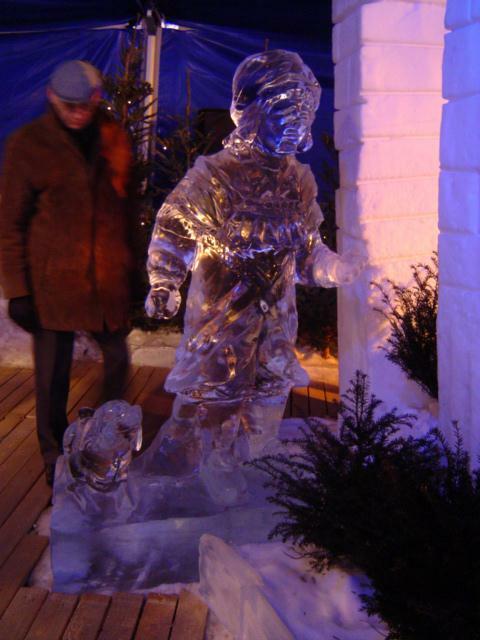 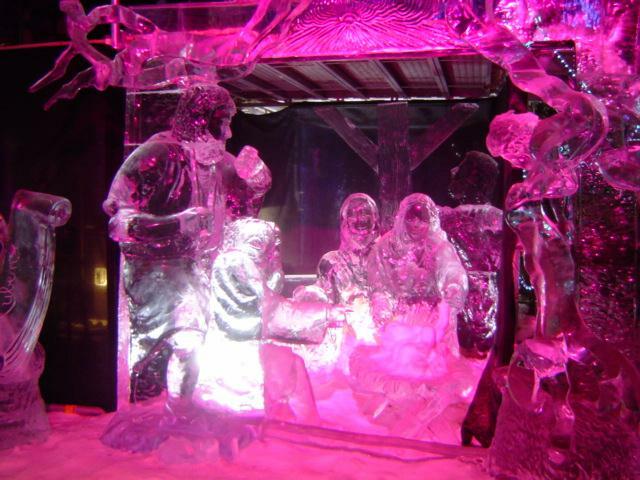 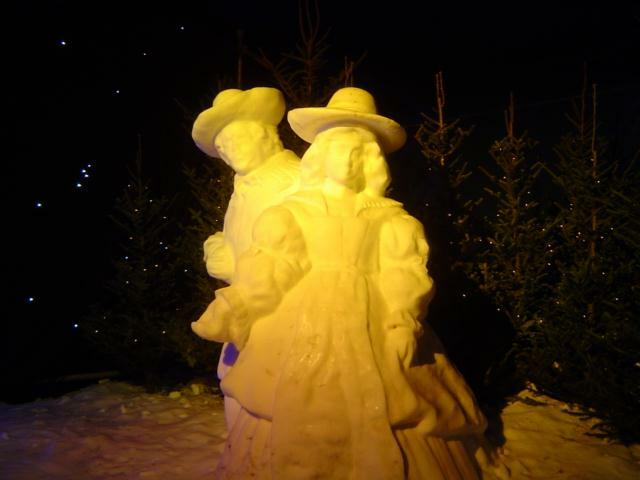 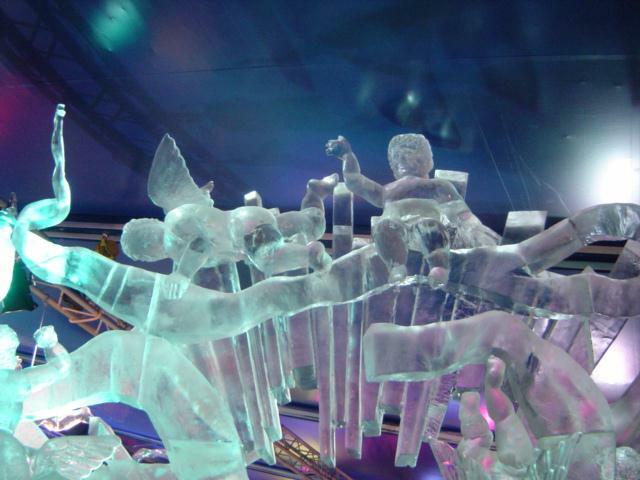 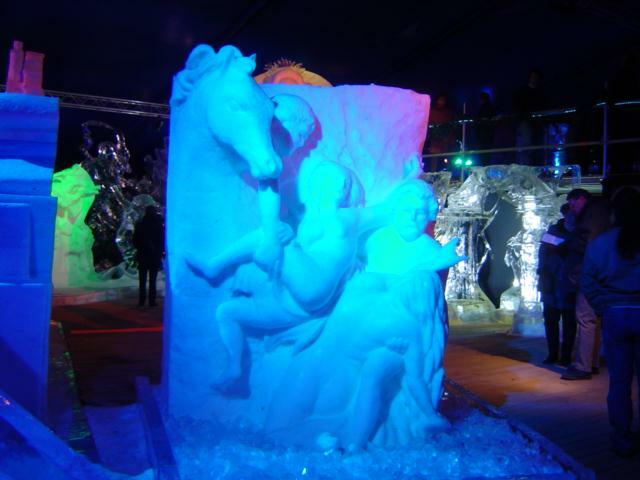 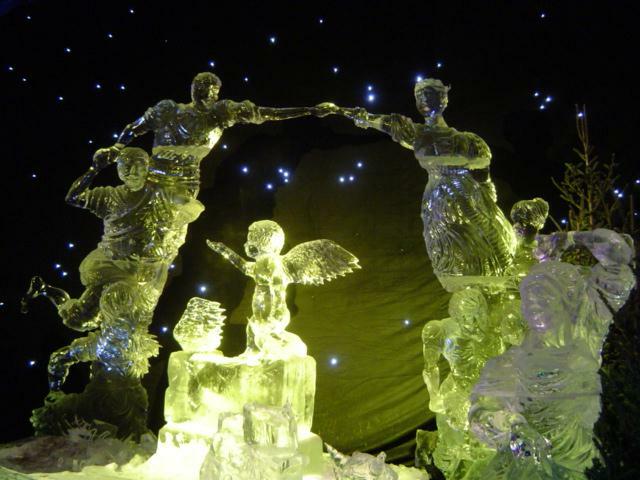 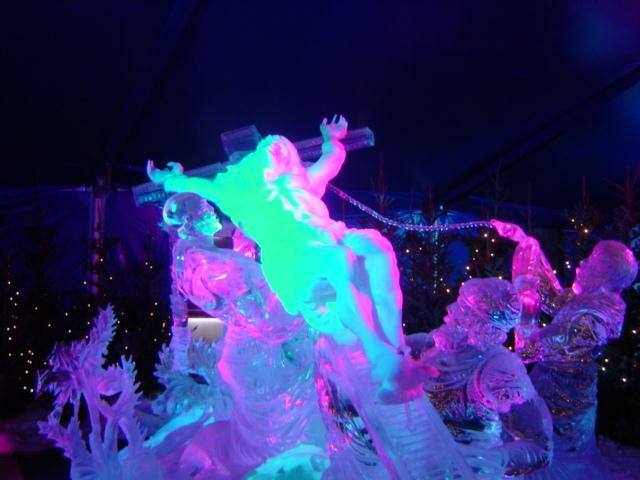 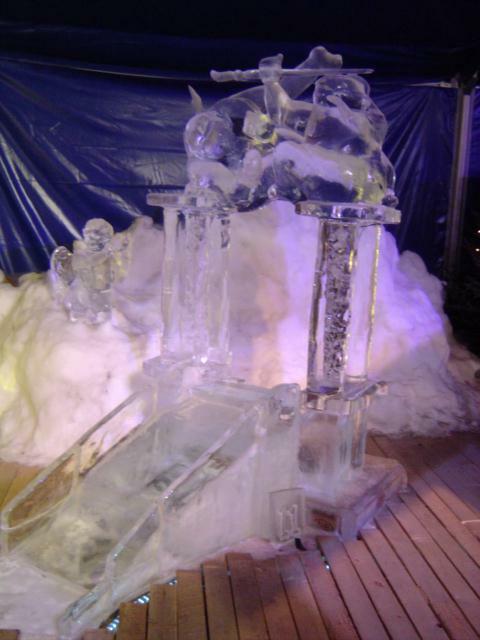 Each sculpture had been hand carved on-site starting from pure blocks of ice and snow. 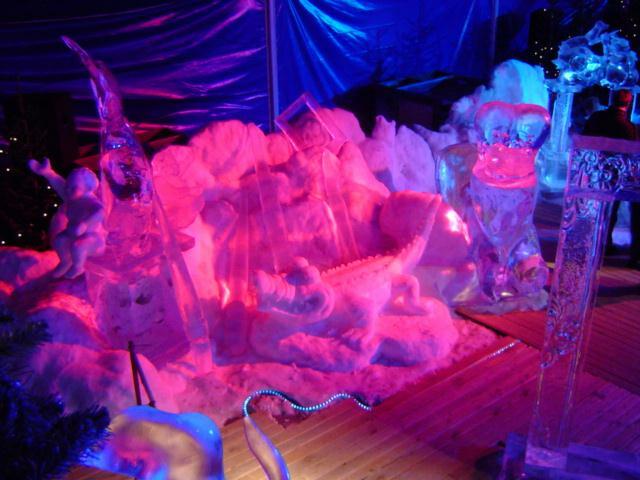 Coloured lighting added to the effects to make a fantastic visual display. 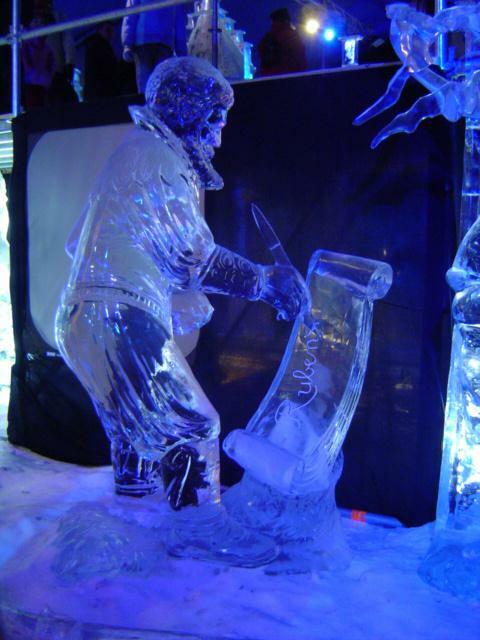 There was even a bar inside the exhibition serving hot gluhwine. 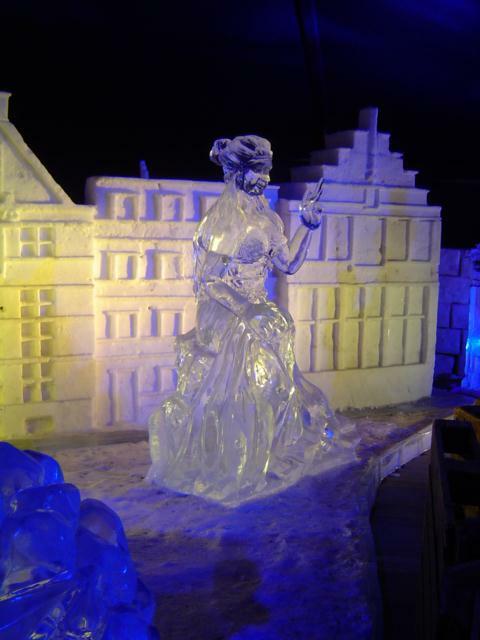 Overall it was a great experience, which we would like to share. 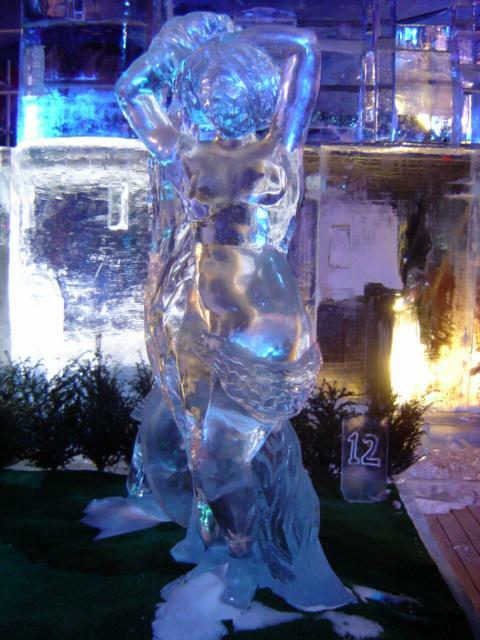 Click on the thumbnail pictures to view the full sized photos, then use the BACK button to return to this album.